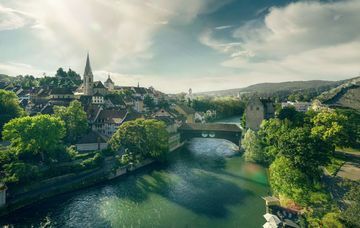 Swiss-Belhotel International, the global hospitality management chain, has announced its inaugural property in Switzerland. Hyatt Hotels Corporation announced the winner of The Good Taste Series competition, an annual global contest that cultivates emerging chefs and celebrates cultural diversity. The Good Taste Series is open to anyone from line cooks to executive sous chefs in Hyatt hotels globally. Four Seasons Astir Palace Hotel Athens is now open as Greece's first Four Seasons hotel. Inspired by the historic glamour of the original Astir Palace Hotel, the fully updated 300-room hotel nestled amid 74 acres (30 hectares) of a lush seaside landscape on the shores of the Athenian Riviera. Hilton has entered into a franchise agreement with GRANVISTA Hotels & Resorts Co., Ltd. to open Hilton Sapporo Park in 2023 as a part of reconstruction project for the current Sapporo Park Hotel. Hilton expands its portfolio in Fiji, following the signing of two management agreements with Carpenters Properties Limited for Hilton Suva and Hilton Garden Inn Suva. Hyatt Hotels Corporation announced the introduction of Thompson Hotels as the first former Two Roads Hospitality LLC (“Two Roads”) brand to join the World of Hyatt loyalty program on March 28, 2019. A Hyatt affiliate has entered into a franchise agreement with 3M Hotels Group for the first Hyatt hotel in Krakow, marking the return of the Hyatt brand to Poland. Tribute Portfolio, Marriott International’s newest collection brand, announced the opening of The Dalmar in Fort Lauderdale, FL. BENCHMARK®, a global hospitality company, announced the return of Virginia’s Lansdowne Resort and Spa to its Benchmark Resorts & Hotels portfolio.